I can provide an objective memorandum analyzing a discreet legal issue and applying the law to the facts of your case. If I believe that the law does not support your legal position, I’ll say so. For more than 25 years, I’ve focused on legal research and writing, dealing with legal issues from mundane to complex. Benefits of having me draft your trial court motion or opposition. We’ll work closely together throughout the process, starting by discussing the relevant facts of the case and defining as precisely as possible the legal issue to be researched. If you want me to apply the law to the facts of your case, I’ll review whatever documents you deem relevant prior to researching the legal issues we’ve identified. If the research raises additional legal issues, I’ll discuss with you whether the scope of research should be changed or expanded. I’ll then prepare a memorandum summarizing my conclusions. If you have questions concerning the memorandum, I’m always pleased to discuss it with you. I have worked with Roger for many years. He is, without question, the best legal researcher and writer that I have ever known. He has the ability to quickly identify critical issues, efficiently and exhaustively research the relevant issues, and produce briefs and memoranda that are both clear and persuasive. He has, on numerous occasions over the years that I have worked with him, produced work that impressed not only clients but opposing counsel. He is professional and a pleasure to work with. He is extremely organized and dependable and excels at working under pressure to meet deadlines. 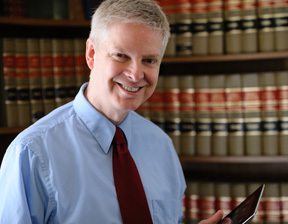 In part because he has focused for much of his career on legal research and writing, he brings to those assignments a broad scope of knowledge that makes him an excellent sounding board both in narrowing the scope of issues to be addressed and in identifying arguments or positions that may now have been recognized by others. I plan to continue using Roger and to continue to recommend his work to others." 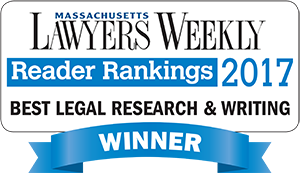 Visit our Resources page to learn more about: appellate briefs and the Massachusetts appellate process; motions for summary judgment; motions to dismiss; the advantages of outsourcing; and other topics of interest.